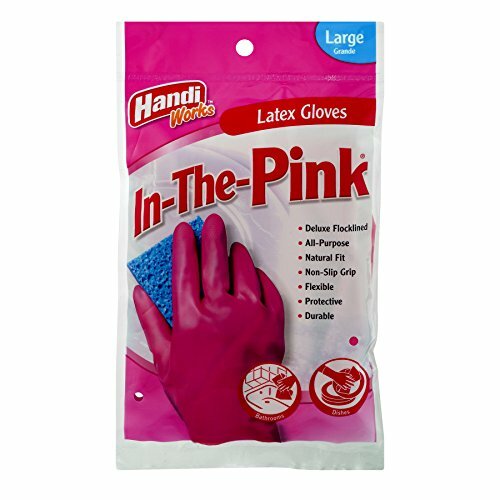 These beautiful and stylish pink latex gloves are perfect for all-purpose cleaning in and around the house. They provide great fashionable gloves to clean with, No matter what part of the house you choose to use them in. Good protection while using normal household chemicals and cleaners. The soft cotton flocked lining helps protect the hands from moisture and acts to help Insulate your hands from hot water. Gloves can also be used for gardening and pet care. Perfect for all-purpose cleaning in and around the house, gardening, pet care. If you have any questions about this product by Glove Specialties, contact us by completing and submitting the form below. If you are looking for a specif part number, please include it with your message.